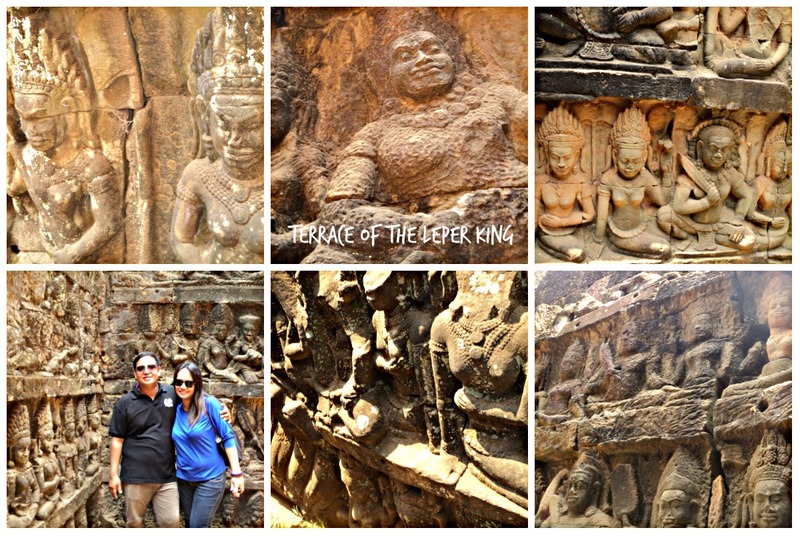 Royal Terraces: Terrace of the Leper King | To Be, To Be. Tutubi. 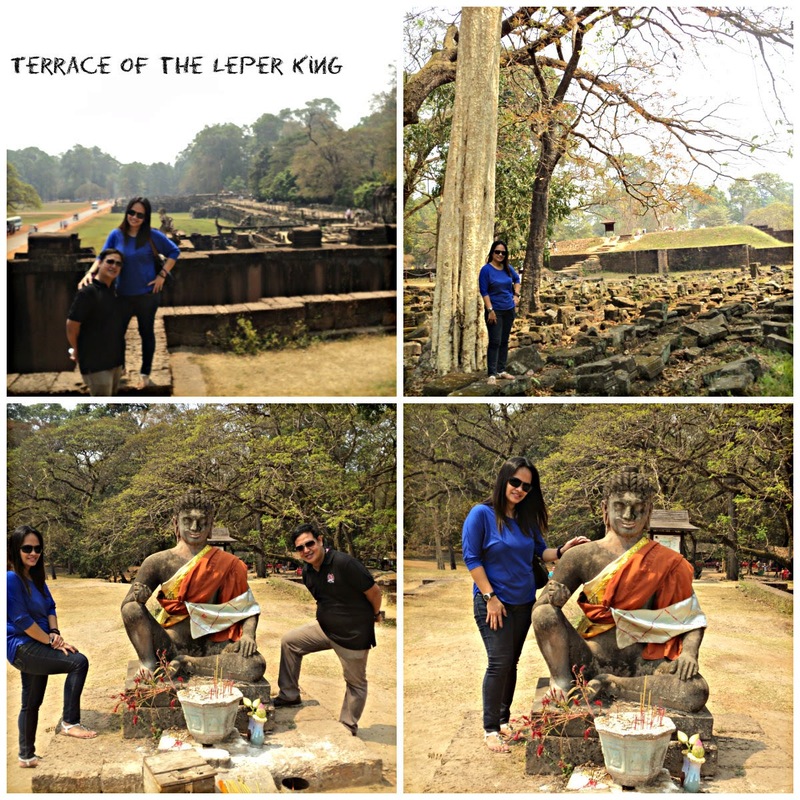 The Terrace of the Leper King, which is still inside the Royal Palace is a 25-meter long terrace where the statue is called the Leper King because he was said to have leprosy. "The 25m (80' long) terrace is shaped like a redented "U". 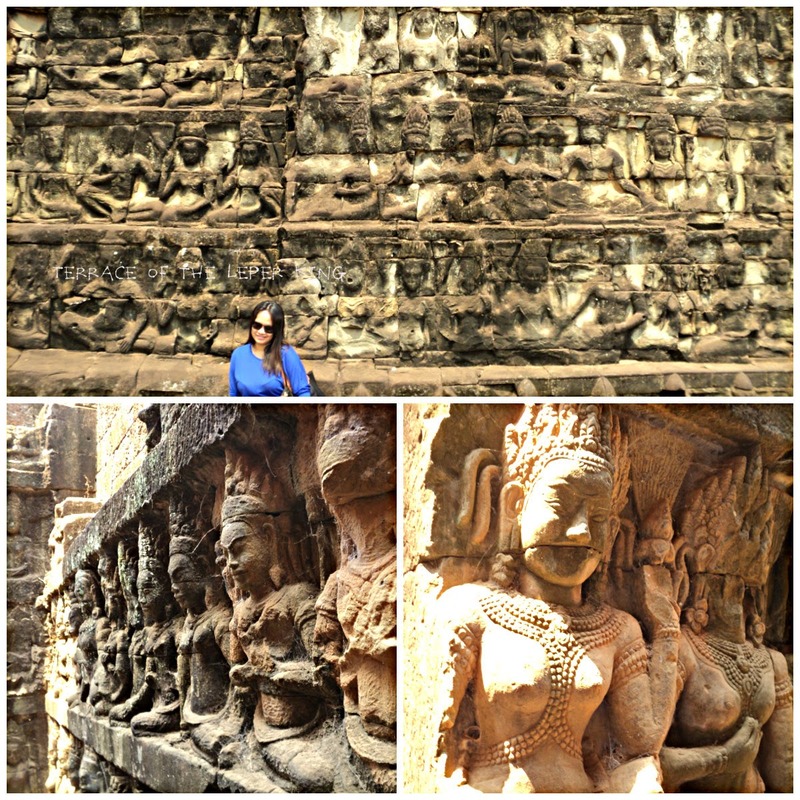 Its north, east, and south walls face outward, and are deeply carved with seated gods and goddesses. Within, and separated by a narrow trench, there is another set of walls, also carved. The inner walls were built first, but then started to collapse, at which point the outer walls were added.," according to this source. The carvings on the walls are just so grand! There are areas where they looked new and restored, and portions where they look old and mossy. The corridor was added so that visitors can view the relief on the first wall. When it collapses, a second wall was built. This was also believed to be a burial site.